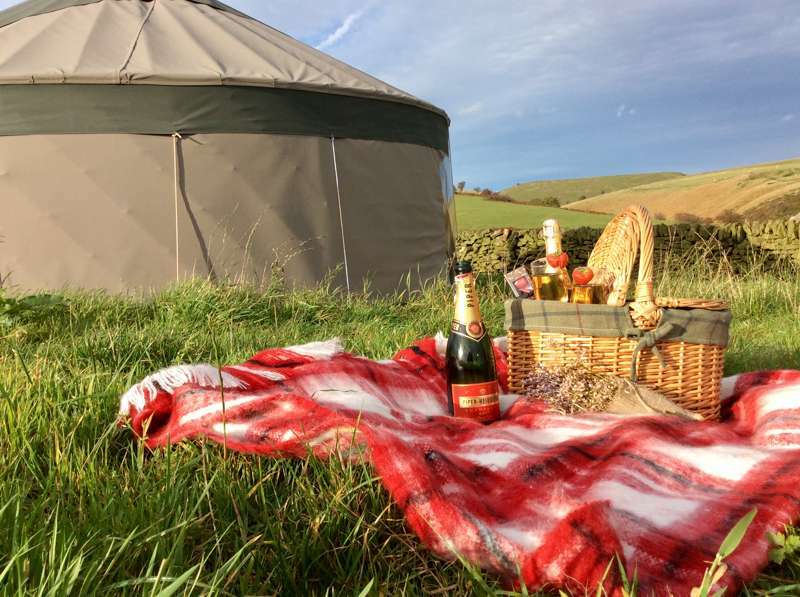 While the epic mountains and the drystone-wall scenery of the Peak District attract many of our guests, we like to think it’s the hospitality that keeps glampers coming back. 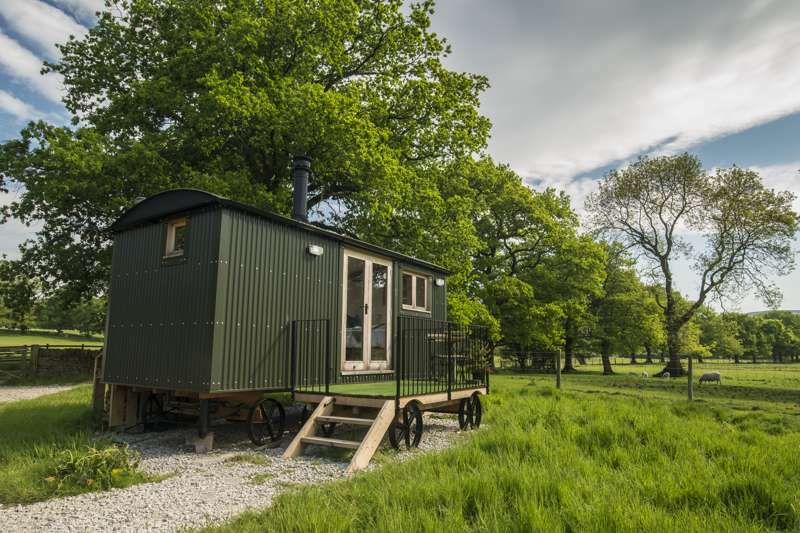 Our private two-person shepherd’s hut is set in a one-acre meadow of our farm, and has an interior similar to an old country cottage, like deep armchairs and lots of logs that will keep the fire all night. Since we only have one hut, our guests have the whole place to themselves. 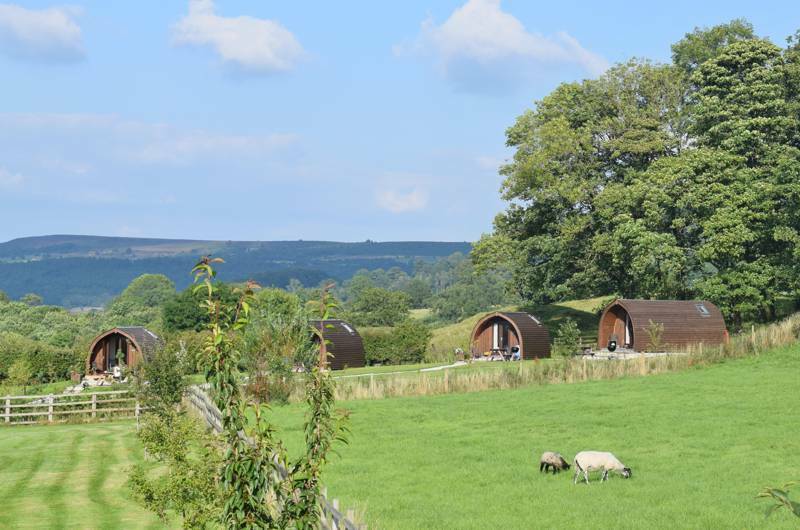 There’s plenty of space to breath Derbyshire's fresh air and to relax beside the hut, and it’s only a short walk down the meadow path to a well-kept washroom. Along the way why not say hello to your neighbours, our farm's resident sheep, chickens, and a pet deer that thinks she’s part of the flock! 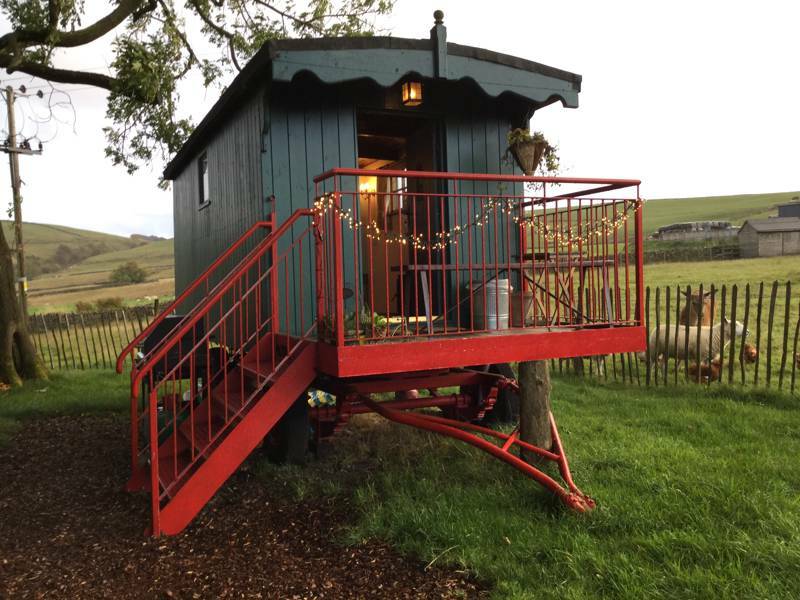 Nice little touches include board games for when the weather turns, candles beside the bed, and a digital radio that makes our cosy hut a relaxing retreat for couples. Walkers love it here too as there are some of the UK's best walking opportunities right from the doorstep, from Axe Edge Moor and Crome Hill to the Three Shires Heads (the hilltop point where Derbyshire, Staffordshire and Cheshire and all meet). Nearby, the village of Flash , has a nice little café and pub, which acts as a popular starting point for hikers.